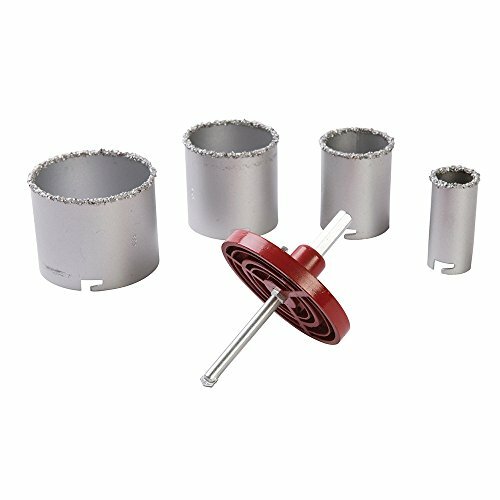 Tungsten carbide grit cutting edges for drilling holes in floor and wall tiles, aerated and concrete blocks. Pre-drill pilot hole in particle board using jobber or lip and spur bit. Includes 9mm TCT pilot hole and 33, 53, 73 and 83mm holesaws and arbor. Max drilling depth 55mm.